Product of Spain, imported and bottled by the Au Pied de Cochon (PDC), in association with partner of 10 years La Coopérativa de bellaguarda. Best Arbequina oil in Spain in 2011, 2012, 2013 and 2015. Why not try our maple vinaigrette. 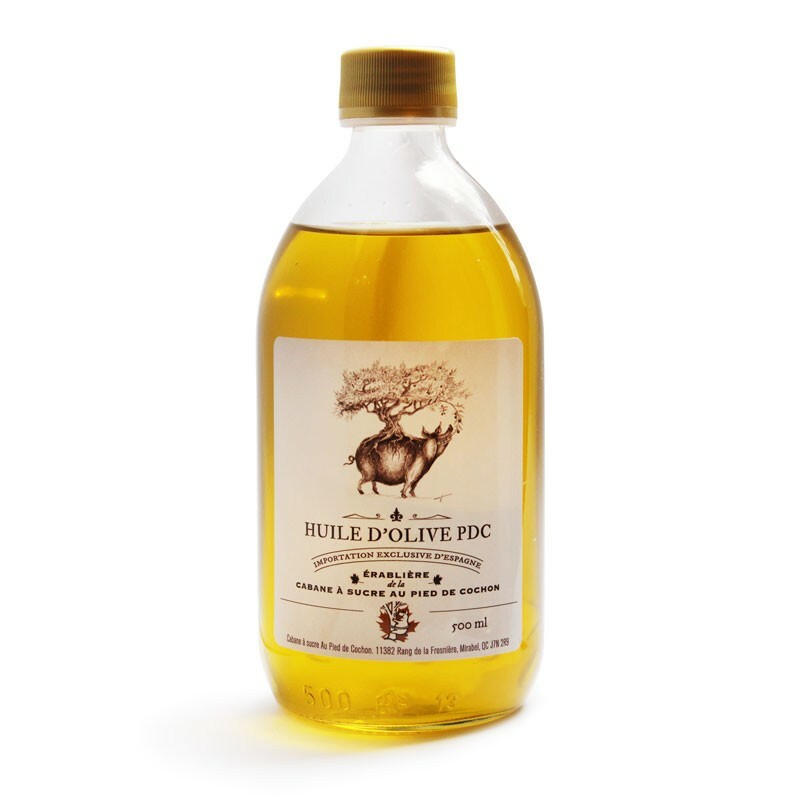 Combine 15 ml our PDC maple syrup with 75 ml of cider vinaigre and 100 ml of our PDC olive oil.